Our most popular cookie – reimagined as a cake. 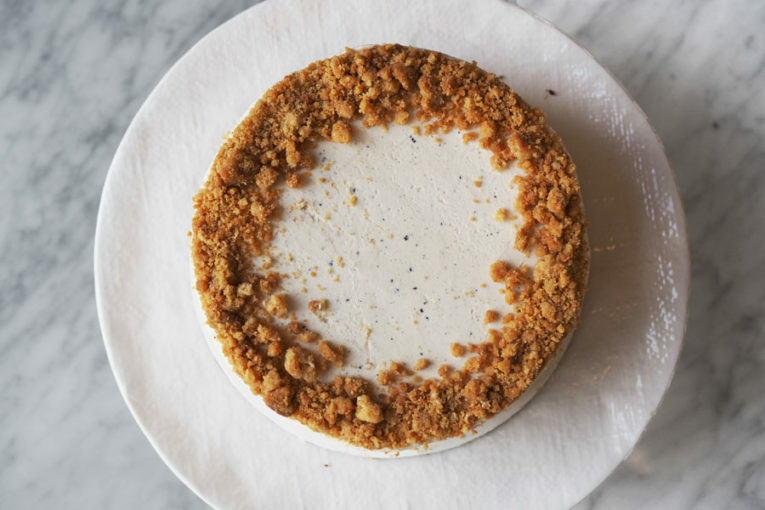 This cake is the perfect balance of rich, salty and sweet. 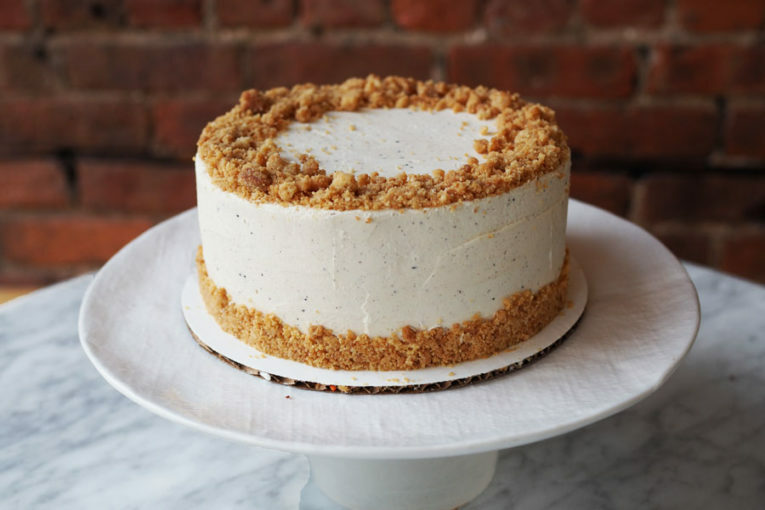 Our white velvet cake is layered with house made caramel and brown butter buttercream and then topped with a crunchy crumble made from our Brown Butter Salty cookies.